Online Chemistry Tuition For Class 8 CBSEMalappuram Malappuram is available through online tuition. Tutormine, one of the best online tuitoring platforms, offers eminient tutors for live interactive one-to-one online tuition for all subjects right at the home of students. 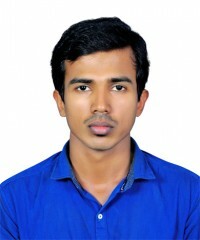 Hi, I have completed my Post graduation in Chemistry from CUSAT cochin and BSc Chemistry from Calicut university, Later i experienced with latest development and adavanced studies in Physical Chemistry from National Chemical Laboratory Pune during my dissertation under the scienstist Dr. Janardan Kundu. I have been in this teaching field from my graduation time itself as a part time faculty for various IIT JEE institutes in kerala. Then tought IGCS and SAT-2 Chemistry tution also abroad. I am always updating new methods and tricks for easy learning instead of explaining the theory directly. Last time my student got 800/800 in SAT-2 Chemistry and lot of others won the exams with good marks and best grades. Myself experienced How to prepare for entrance exam effectively and qualified also during my graduation. How to practice time management and the way of approaching questions also i can explain you well.